La note a été taggée Flower Power, Parrot. Several months ago, I explained my concerns with Parrot’s Flower Power. One day, my sensor had decided to stop working, just like that. And I saved him. Small summary: the Flower Power is an object connected in Bluetooth LE, and – one day – mine was not being detected anymore by my iOS devices. I contacted the Customer Service (several times) with, each time, the same answer: “This is a hardware problem, we cannot fix it, it is good for the trash” (I simplify). But I struggled, for a good reason: the tools able to read the data in BLE could detect the Flower Power. For example, with a Raspberry Pi, I managed to read its data. Looking a little deeper, I realized one thing: the device had no name. No idea of the reason, but I suspected pretty quickly that it was the source of my problems. So I looked for tools to update the firmware (and they are impossible to find), others to try to change the name, without real success. Then I spotted (recently) a tool able to hack the connected objects that use Bluetooth LE, Bleah. Once the tool installed (it is explained on the deposit), it was quite simple. • Detection of the BLE devices nearby (I’ll skip the long list). • Connection to Flower Power. This command lists all the data sent with (especially) those that can be modified. • This line made me freak out a bit (in fact, it requires a little knowledge of BLE to understand). • The next line just lets you write what you want. Well, it does not solve the concerns of the application, which is a bit messy, but at least it is working and I’m pretty proud of myself. Even though it took me a while to figure out how to do it. do you know if there is a way to retrieve the data from the sensor. 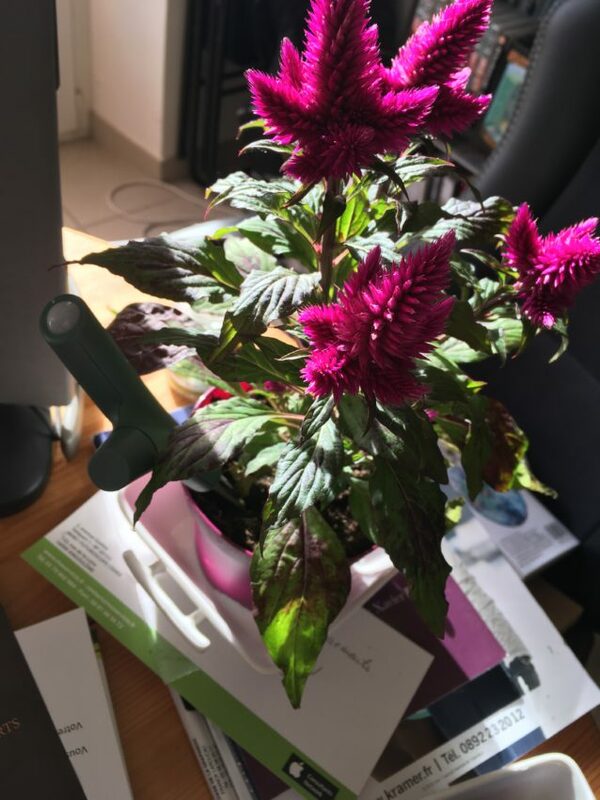 I would like to do my own analysis in excel and adding other data like the size of my plant etc…. I know that there is API available , but I am not a technical person. Thanks for any lead you can give me.